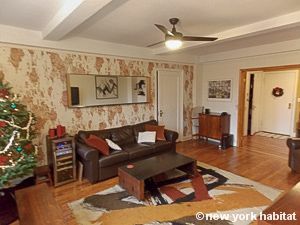 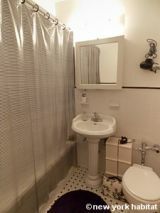 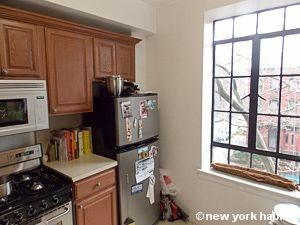 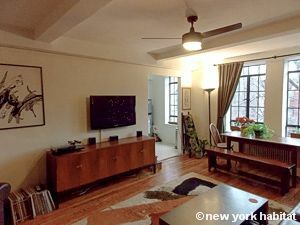 Experience Brooklyn life in this Fort Greene apartment, located near the intersection of Lafayette Avenue and South Oxford Street, less than a block from the park itself. 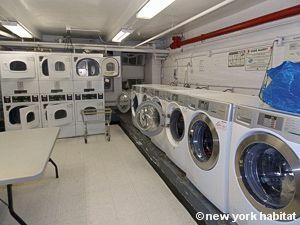 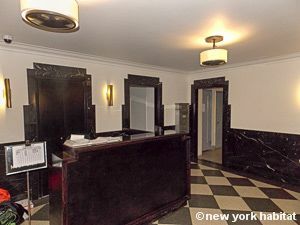 The full-time doorman building is somewhat of a rarity in this area, equipped with on-site laundry facilities and an elevator to service 18 floors. 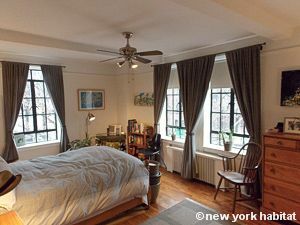 The apartment itself is on the 4th floor (considered the 3rd by Europeans), and has wide windows with southern and western exposure. 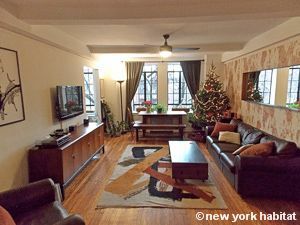 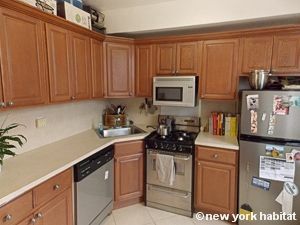 With exceptional windows that allow natural sunlight to brighten each room, this one bedroom apartment is lined with hardwood floors, and features a fully equipped kitchen and a relaxing living room with a flat screen television. 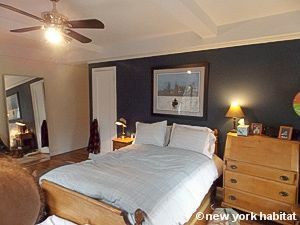 The bedroom features a double size bed and the bathroom has a deep soak tub. 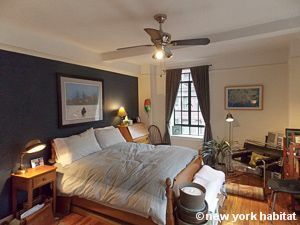 Ceiling fans in both rooms help circulate the air and the paned windows and exposed ceiling beams give the apartment a loft-like feel.